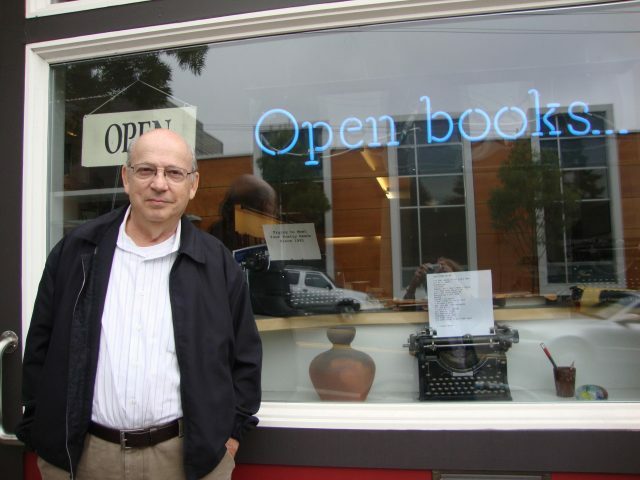 Brookline’s own Poet Laureate Zvi Sesling has a new book. Sesling has been writing poetry on Jewish themes for over 30 years and his new book, “The Lynching of Leo Frank” is the culmination of his long career. The poems address a range of subjects but are tied together by themes of survival, history, anti-Semitism, hopelessness and hopefulness, according to Sesling. With his book newly published, Sesling recently answered questions about his book via e-mail. The title of your book is quite striking, why did you select it? I believe this is an important event in American Jewish history that is often overlooked by the media and even many in the Jewish community because it occurred more than 100 years ago. I hope the title encourages people read the poem and then the whole book. The book is a culmination of over 30 years of writing, what was your process for putting it together? There are more poems than are in this book. I selected what I believed was a variety of what I have written. I picked the title poem, then added Mumbai, which was a much under-reported tragedy of terrorism. My travels in Israel, Canada and the U.S. provided much inspiration, while other poems were the result of news stories, even one based on the movie “Chariots of Fire.” Then there are poems from personal experience —i.e. people I know, my past, etc. When it comes to Jewish poetry I would say my heritage, my personal experience, family, friends, history, observation, news and more. When it comes to other poems – and I have two other books and two chapbooks – it can be anything, often inspired by other poets whose work I have read. In the book description you refer to a range of history and emotion for the readers, can you elaborate on that? Many of the poems reveal issues with which both Jewish and non-Jewish readers may not be familiar and which they need to know, such as the lynching of a white, Jewish male who was not guilty of a crime. Many of the poems everyone can relate to: a picnic, a dinner, terrorism, the last days of a synagogue not unlike the closing of Catholic or Protestant churches, attempts to convert a Jew, anti-Semitism, war and other issues that may occur. Can you reflect on your career and what led you to create this book; was it something you always planned to do? Going back to second grade I wanted to be a writer, went to journalism school, spent years in public relations and along the way wrote short stories, but then started writing poetry. One of the thoughts I had as I wrote poetry was to write poems about Jewish subjects because I believe the best writing comes from personal experience that can elicit the emotions of the writer and reader. I decided to write more Jewish poems and eventually put this book together. The result is “The Lynching of Leo Frank” representing more than 30 years of poems. I am honored that this book is nominated for the 2017 National Jewish Book Award. Why poetry? What does it do for you and what do you hope it does for your readers? I am honored to be the current Brookline Poet Laureate. I will help people school age to seniors have a better understanding and love of poetry. Through the written and spoken word poetry brings internal and external understanding of self and life.